This artist's impression of SPT2349-56 shows a group of interacting and merging galaxies in the early Universe. 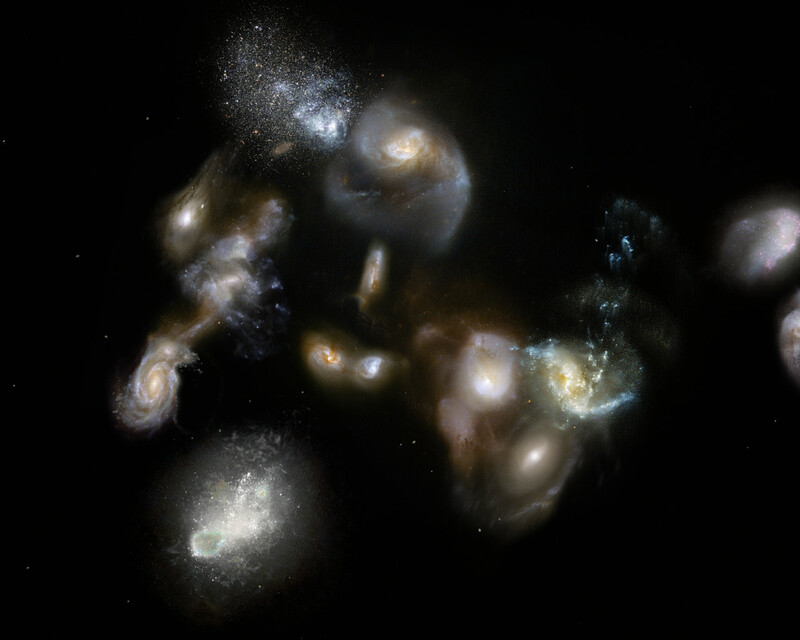 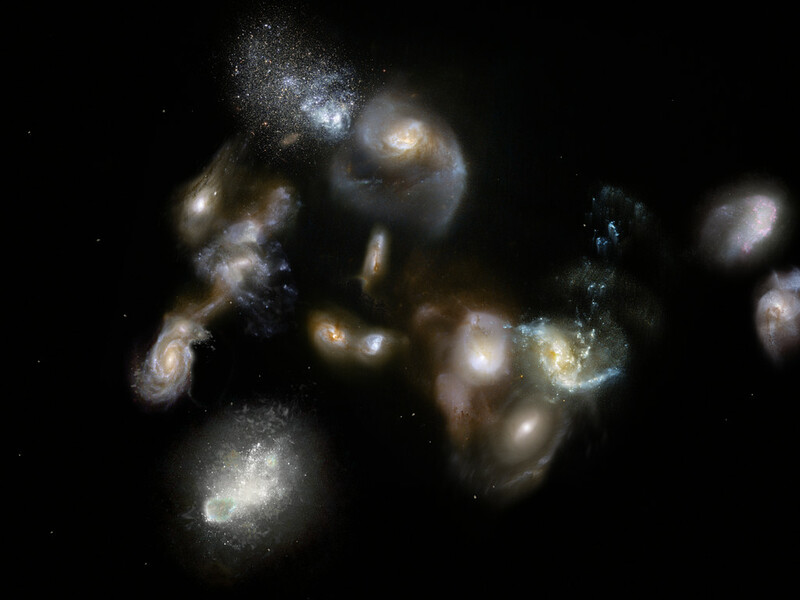 Such mergers have been spotted using the ALMA and APEX telescopes and represent the formation of galaxies clusters, the most massive objects in the modern Universe. 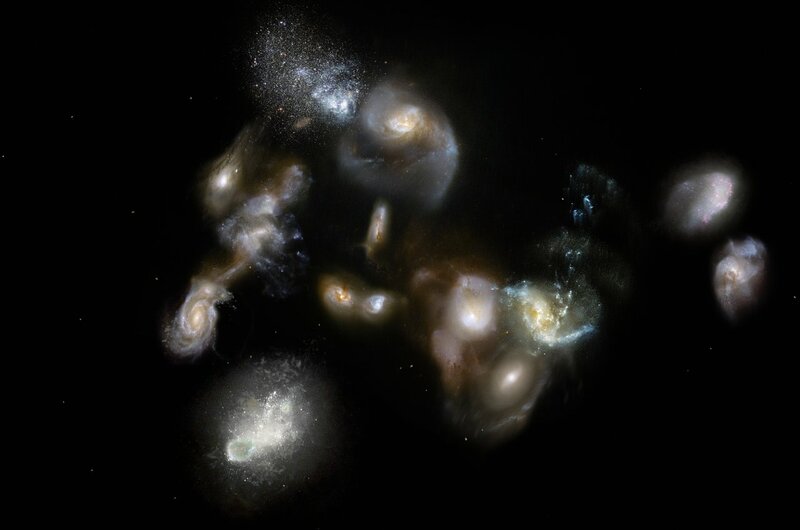 Astronomers thought that these events occurred around three billion years after the Big Bang, so they were surprised when the new observations revealed them happening when the Universe was only half that age!